Merc: Your Model Names Are Like Chinese to Me! I hate to admit it – because after all I am a car nerd and a bit autistic – but Mercedes-Benz is the only car brand sold on the Western hemispheres of which the great majority of its model names have absolutely no meaning to me. Whatsoever. That’s not because Benz doesn’t offer good looking quality motors that I wouldn’t care to drive. On the contrary, despite that I’m a BMW fan by nature, I find that C63 AMG with the 6.2 V8, that they sneakily suggest is a 6.3 V8, quite a mouthwatering car and I’d probably pick it over an M3. It just sounds so brutal. Nope, it’s not in the cars, it’s in the names where the problem lies. Look: S, SL, SLS, SLK, CLK, CLS, CL, C. Really, are you actually serious?! That looks like a question from an IQ-test where you have to understand the pattern to tell the next entry in line. And then I’m still ignoring all the other model variations they’ve got lined up too – the terrain vehicles tend to be a handful to distinguish as well. Mercedes’ marketing gurus might as well have used 胚胎干, 胚胎干欧盟, 胚胎干欧盟胚胎干, 胚胎干欧盟了, 它欧盟了, 它欧盟胚胎干, 它欧盟, 它 as far as I’m concerned. Tells me exactly as much about the cars: nothing! Sure, not that Audi and BMW have got an interesting set of names for their wheels, but at least their numeric format allows me to assess where in the range a specific cars sits. But guess what! Mercedes must have finally discovered the same thing. 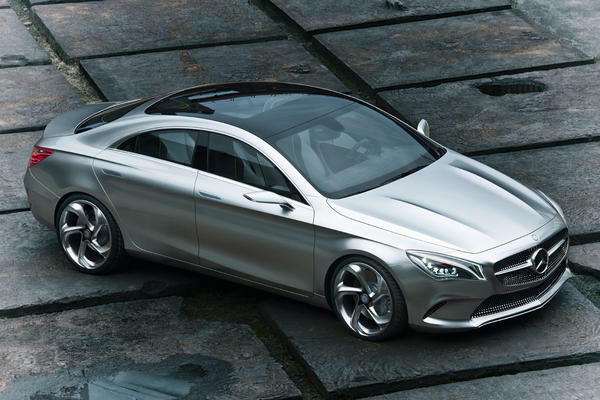 In the news yesterday: there’s rumour Merc might revisit its naming convention to improve clarity of the model range. The basic A, B, C, E and S models will probably continue to exist – which is fine, I can deal with single letters – the rest is going to become a little more logical. It’s said that the letter or letter combinations G, CL and SL are going to denominate terrain, coupés/convertibles and sports cars respectively when combined with any letter from the basic range. A ‘CLE’, for example, might be a coupé model based on the E-Class. This entry was posted in News and Views and tagged AMG, audi, bmw, C63 AMG, car, CLA, CLK, CLS, e-class, IQ, LS, mercedes, mercedes benz, MoT, SL, SLK, SLS, Sport, sports car by The Flying Dutchman. Bookmark the permalink.